As I was heading out the drive this afternoon the postie handed me the mail which included a large A4 size parcel that looked like a magazine. I was disappointed that it wasn't the Inside History mag that I was expecting. On ripping off the wrapping I found a more traditional looking publication of 180 pages. When I joined the Ku-ring-gai Historical Society I vaguely remember reading somewhere that they published a journal. What arrived today was The Historian, Volume 40 Number 1, of the official journal of the Ku-ring-gai Historical Society; it is certainly a handsome publication. I am most impressed that a copy of this publication is included in the $30 annual membership fee. The 28 articles in the publication all appear to have a connection with the Municipality of Ku-ring gai, the area the society serves. I am one of a number of out of area members of the Society that I joined because of its good program, committed members and excellent research facilities. 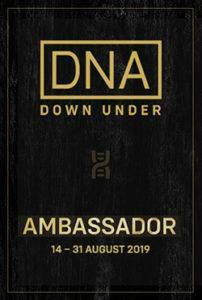 The content of the journal is not just of interest to those from the area but to anyone with an interest in Australian history or architecture. The articles include histories of some of the beautiful old homes from the area such as Moppity, Dent House and Biorah; members including Janette Smith and Corona Adams have shared reminiscences and there are biographical pieces on prominent citizens and architects. All of these articles are enhanced by old photographs, drawings, maps and building plans. It is a little disappointing to realise that such a high quality publication might have a fairly limited audience. I don't know about copyright restrictions on the articles in this journal but it would be lovely to see them reach a wider audience such as that of the Inside History Magazine that I am waiting for. The journal would be a valuable resource in large or neighbouring library's collections. Thanks to Ann Barry, President of the Society, and the journal publication group for the wonderful surprise that landed in my mailbox today. It will provide me with many hours of interesting reading. Saturday Night Genealogy Fun - Where do you fit? "It's Saturday Night again -- and time for more Genealogy Fun!!! 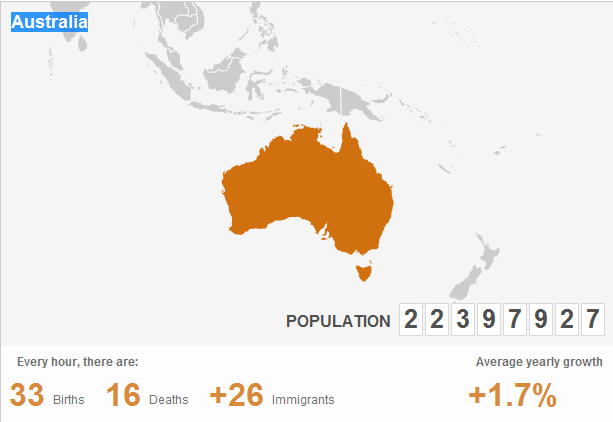 1) Use the Population Counter on the BBC News website to determine your place in the current world population, and your place in all of history (of course, these are estimates...see the website for how they calculated this). Enter your birth date into the fields and click on "Go." 2) Tell us about your results in your own blog post, as a Comment on this blog post, or as a status line in Facebook or a Stream post on Google Plus. For extra credit, show us the image from the website with your information on it." I followed Randy's suggestions and input my birthdate. The world's population has trebled since my birth - I must be pretty old! 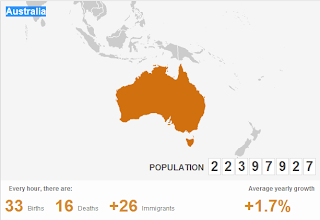 Australia's growth rate is 1.7% per annum. Randy indicated that "Average life expectancy in the USA is 78 years, with Females at 80.5 years and males at 75.4 years" and lamented that he hasn't a lot of time left to compltete his family history research. 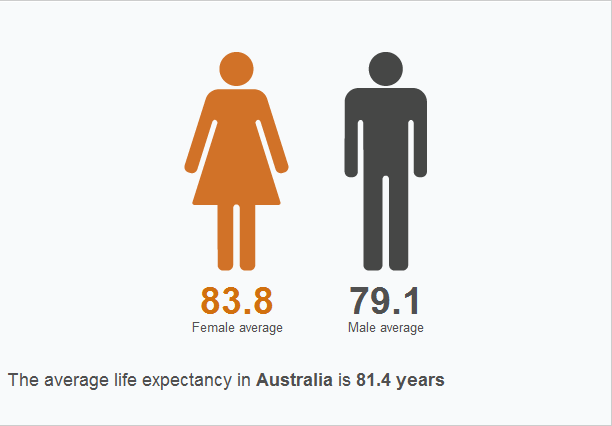 I was interested and pleased to see that those of us who live in Australia have a longer life expectancy than our friends in the US, so I have more time to spend on family history! If an organisation is only as good as the people that work there then State Records NSW must be a mighty good organisation. I was so impressed with all of the staff members I came in contact with at their Open Day yesterday at the Western Sydney Records Centre. Their dispositions were as sunny as the weather that greeted us at Kingswood. Congratulations to all who contributed to the success of this day. On arrival visitors were directed to a registration area in the grounds where we collected a folder containing our personalised program for the day, tickets for talks and tours and a a voucher for a free sausage sizzle. Although there were tours, workshops and seminars I opted to attend the five seminars on offer. Christine Yeats,State Records NSW public access manager,was the MC in the seminar room ensured that all ran smoothly there. The second session was "a User's view of the Archives" in which two presenters related how they had used the archives to gain information for projects. I found the first talk by Caroline Ford more interesting because it was relevant to me, she spoke of Bronte and Maroubra Beaches where I had lived, Bondi Pavilion where I had worked when it contained Waverley Library's workrooms and Coogee Beach where I spent many summer days as a teenager. Caroline will be publishing a book as a result of her work, that's another title to add to my Christmas list. The second speaker, Nicky, described how she had used archive material to provide information for the Underbelly television program. The lady sitting near me and I agreed that wewould have liked to hear more about the Archives' materials and see less of the Underbelly film clips. Directly after lunch the seminar topic was "Old records, new ways – Researching the digital era". In the first half of this session two gentleman discussed NSW historical land records available online from www.lpi.gov.au. Unfortunately due to time constraints they were not able to fully explore their topic. Richard Lehane then shared the wonderful news that the clunky Archives Investigator at State Records is to be replaced by a new search tool http://api.records.nsw.gov.au/ that appears to be more intuitive and user-friendly then poor old investigator. This tool has a simple search interface into which one types a search term. A list of results appears in three columns the middle of which contains the results while he left and right columns show filters that one can apply to the results.. In a quick trial of the tool last night I found a number of references to family documents that I have not been able to find previously. Another trip to Kingswood is on the cards. In "Family History - Online Resources" we met two lively and engaging speakers who both gave handouts (gold star). Christine Yeats gave an overview of the online resources available from State Records. Martyn Killion then shared his "10 websites you can't live without" for Genealogy on the Internet. As it's hard to choose 10 Martin immediately added an 11th. I would probably have omitted one of his sites and replaced it with Familysearch. Both of these speakers gave information that would be very useful to the novice family historian. Anthea Brown and Fiona Sullivan provided us with a ten page handout for which they get a gold star (but couldn't you have cut the white space,saved a few trees and condensed this girls?) for "Dating old photos". They will be providing a link to a .pdf version of this on the Archives Outside Blog. I enjoyed their presentation in which they showed a series of old photos and showed us how to look for clues from number plates, signs and clothing to date them. I am most impressed on how State Records uses Social Media to connect with the world. I was blown away by content of the talk by Mick Reid and Bill Oates from the University of New England because what they were discussing was news to me. Bill, the archivist at the University, and his mate Mick, an academic, have collaborated to date photos in the collection by studying shadows in the photos. It sounded like hocus-pocus to me but after seeing their demonstration I realised that there was a strong scientific basis to the work. The book which Mick uses contains software with a spreadsheet into one which one enters data about the photo under investigation. The book by physicist Colleen Fitzpatrick is The Dead Horse Investigation is available for purchase online. I ran into a some Genimates at the Open Day but missed out on catching up with others.. I was particularly pleased to catch up with Cassie Mercer from Inside History Magazine, Brad Argent from Ancestry and Martyn Killion from SAG but only managed to wave to Allan Murrin from the Botany Bay Family History Society. Thanks once again to all of the people at State Records for a super day. Last week my Genimate, Amy Coffin, wrote a post The Volunteer Perspective. She related some experiences where she had volunteered to help genealogy societies and had not heard back from those organisations. Some people are shy and it takes a lot of courage for them to volunteer. To be ignored is a slap in the face and can damage the prospective volunteer's self-concept. After a couple of knockbacks one is not likely to volunteer again. Amy spoke about the need for organisations to embrace volunteers and wrote some challenging questions that organisations can use to evaluate their response to volunteers. "Newly retired I am ready to volunteer. I have mentioned how I might be able to help to a few people in the groups I have joined, I think I have something to offer but don't want to push myself onto them. I guess these people have to get to know me before they entrust me with jobs. I was pleased this week to be asked to write a report for a society newsletter, maybe some more jobs will come my way soon." I have been hesitant about volunteering in the Societies I have joined so was thrilled to be asked. I thank Jo Harris, Leader of the Family History Group at the Ku-ring-gai Historical Society, for phoning and asking me to write a report for the newsletter. Jo had warned me that she may edit my article and that the newsletter editor might then have a go at it. I was prepared to see something that vaguely resembled my writing in print. I was chuffed when I received my newsletter this week to find that it had been published with only a minor alteration. Being published in the newsletter is only a small thing but it made me feel ten feet tall; I'm not an outsider in the group but someone who has now made a small contribution. The Society reached out to me and I willingly accepted their invitation. How about you reach out to members of your organisations and ask them to help? I was thrilled to see this morning that Pauleen from the Family history across the seas blog has created a Geneameme which focuses on genealogy resources beyond the Internet. I am also delighted that she has used the term 'geneameme' that I coined for my last meme "The Ancestors' Geneameme". As I have been involved in ancestor hunting for nerly 25 years I had to use many offline resources in my early days of researching. Looked at microfiche for BDM indexes which go beyond the online search dates. Obtained old family photos from relatives. Have at least one certificate (birth/death/marr) for each great-grandparent. Have at least one certificate (birth/death/marr) for each great-great-grandparent. Seen/held a baptism or marriage document in a church, church archive or microfilm. Seen your ancestor’s name in some other form of church record eg kirk session, communion rolls. Researched using a microfilm other than a parish register (LDS family history centre/other). Used cemetery burial records to learn more about your relative’s burial. Used funeral director’s registers to learn more about your relative’s burial (an old card index for Campbelltown, NSW). Visited all your great-grandparents’ grave sites. Visited all your great-great-grandparents’ grave sites. Obtained a great-grandparent’s will/probate documents. Obtained a great-great grandparent’s will/probate documents (Does a great-great-great count?). Followed up in the official records, something found on the internet. Obtained a copy of your immigrant ancestors’ original shipping records. Found old images of your ancestor’s place of origin (online or other). Read all/part of a local history for your ancestor’s place of residence. Read all/part of a local history for your ancestor’s place of origin. Read your ancestor’s school admission records. Researched the school history for your grandparents. Read a war diary or equivalent for an ancestor’s battle. Seen your ancestor’s name on an original land map. Found land selection documents for your immigrant ancestor/s. Located land maps or equivalent for your ancestor’s place of origin. Used contemporaneous gazetteers or directories to learn about your ancestors’ places. Found your ancestor’s name in a Post Office directory of the time. Used local government sewerage maps (yes, seriously!) for an ancestor’s street. Read an ancestor’s/relative’s hospital admission. Researched a company file if your family owned a business. Researched occupation records for your ancestor/s (railway, police, teacher etc). Found a convict ancestor’s passport or certificate of freedom. Found a convict ancestor’s shipping record. Found a licencing record for an ancestor (brands, publican, etc). Found an ancestor’s mining lease/licence. Found an ancestor’s name on a petition to government. Looked up your ancestor’s name in the Old Age Pension records. Researched your ancestor or relative in Benevolent Asylum/Workhouse records. Researched an ancestor’s/relative’s mental health records. Contributed family information to a genealogical publication. Looks like I need to bite the bullet and check land records - a job I've been avoiding for many years. In 2002 when I started using Blogger for the now defunct TLNewsau blog I was wary of identifying myself online. Current wisdom then was that one should create an online name/identity and use that lest some predator find out your true identity and either steal it or stalk you. At that stage because I was a librarian I chose the bibliaugrapher label as it seemed to describe my activity and have a reference to my geographical location. When I started blogging for genealogy nearly 3 years ago I chose Geniaus (a genealogist from Australia) as my online identity. For consistency I use this ID as my login on quite a number of social networking sites together with a little portrait by my then 6 year old grand-daughter as my avatar. I see Geniaus and that portrait as my branding. Last year when I was invited to be an Official Blogger for Rootstech I had to come out of the closet and reveal my true identity. This didn't deter me as I realised that, as long as I practised safe social networking, the predators probably wouldn't stalk me (especially when there are a lot of younger and prettier victims online). In July Google+ appeared, I was lucky enough to be a very early Beta user of this new platform that I just love. To use Google+ one is supposed to use one's real name (although I know of quite a few dodgy IDs out there) so I complied and moved a little further out of the closet. Today in the Blogger Buzz Blog I read this news Use your Google+ profile with your Blogger blogs. It said " Today we’re excited to announce the first way you will be able to leverage Google+ -- by making it possible to replace your Blogger profile with your Google+ profile. In addition to giving your readers a more robust and familiar sense of who you are, your social connections will see your posts in their Google search results with an annotation that you've shared the post. Plus, bloggers who switch will automatically get access to the Google+ integrations we’ll be rolling out in the future"
As I want to enhance my social connections and be in on the ground floor for any new Google+ initiatives I closed the closet door and changed my Blogger profile to my Google+ profile. I am no longer Geniaus on Blogger but Jill Ball who blogs as Geniaus. I hope that the new Google+ integrations come before the month is up as I have that long to crawl back into the closet and reactivate my Geniaus Blogger profile. Are you changing your Blogger Profile to Google+ or are you adopting a 'wait and see' approach? Genealogist, Judy Webster in Australia, set up the Genealogists for Families Project through Kiva. Joining up has been on my 'to do' list, I feel bad that it has taken me taken me four weeks to get my act together and get behind this worthy cause. This afternoon while babysitting (I do a lot of that) I was reflecting on how fortunate I and my family are to live in the 'Lucky Country' and my thoughts turned to Kiva and those who are less fortunate. Today I finally joined the group that so far has 24 members from Australia, Canada, England, Scotland and the US. As of today the group has made 35 loans of $US25 to people in countries that include Bolivia, Mongolia, Palestine and Zimbabwe. For about the cost of one birth, death or marriage certificate you could also help families in other countries wit a loan. Genealogists worldwide, plus family and friends, are working as a team to help families and small businesses in low income areas. Through Kiva, a nonprofit organisation, we make $25 loans that enable borrowers to expand their businesses, support their families and raise themselves out of poverty. When the loan is repaid, the lender can withdraw the money or lend it again." On this blog you will find answers to any of the questions you may have about the project. When I developed the Ancestors' Geneameme last Friday I made an offer to genealogists who do not have a blog. I indicated that if they wanted to join the challenge I would post their response on the Genimates blog. I was thrilled this morning when I found this message in my e-mail. Following is that message and the meme response from Gill in the UK, I tried to post it to Genimates but the colours just wouldn't work with the Genimates design so it's here on Geniaus. 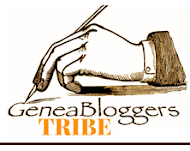 Yours looks to be an interesting blog... found through The Wandering Genealogist's blog via the Geneameme... nice idea! You invited folk to send this to you if they didn't have a blog themselves... which I don't. Have photographs or portraits of my 8 great-grandparents - no just 6 out of the 8, I'm afraid. Met all four of my grandparents - yes and have good memories of them! Have an ancestor from Great Britain or Ireland - as a Brit most are from GB but I have Irish ancestors too. Have an ancestor who was an agricultural labourer - loads and loads! Have an ancestor who was an author - not a direct ancestor, but George Swinnock was my 8th great uncle, a Puritan preacher in the 1600s whose books are still being read today, apparently. Have blue blood in your family lines - still trying to prove this one! Have an ancestor who was convicted of a criminal offence - hoping to find one! Have visited an ancestor's home from the 19th or earlier centuries - hoping to find one or two of these still standing! Have a pre-19th century family bible - I wish! I have found researching my family an amazing journey... that isn't over yet! I've found out a vast variety of occupations that they had... eg cordwainers/ shoemakers, tailors, barge men on the River Medway, paper-maker (before going bankrupt in 1727! ), Master of a Workhouse, glass-makers, teacher, milliner (back in late 1500s), timber merchant, thread twister, Mayor and Jurats of Maidstone, Kent (1600s), Professor of Music... etc (I'll stop before I bore you!). I think that another wonderful benefit of genealogy is the wealth of knowledge one picks up along the way... historical, social, medical, geographical, financial, political etc and the skills that one gains in terms of research. Finally, the sharing of ones findings with others - long lost cousins and strangers alike... which bind us together in our separate, but strangely similar journeys into the past. Have you seen my website? http://www.kiva.org/ - a micro-finance site. So you think you're insignificant? Then you've never slept with a mosquito! I'm a procrastinator, I don't work well until a deadline is drawing near. I was reminded yesterday in an e-mail from Joan Miller, one of my co-presenters at Rootstech 2012, that I must get cracking with our syllabus document that is due on November 1. Joan was too polite to say "get your act together Jill" rather she just sent me a chatty e-mail asking how things were going. Thanks, Joan, for the reminder I'll get onto the job as soon as my babysitting charges go home tomorrow. We are using a Google doc to plan our presentation and write the syllabus outline that is required by November 1. I might propose to Audrey Collins, Amy Coffin and Joan Miller, who are presenting with me, that we use the new GoogleDocs Presentation tool to collaborate on preparing our presentation slides. I must admit that I have only had the briefest of looks at this tool, I'll leave it until after we submit the syllabus document to see if it will suit our purposes. I was also reminded about the conference this morning when I found my registration receipt in my inbox; Mr Geniaus also received his receipt. Although he is not into genealogy he is interested in family history; there is such a variety of talks on offer at Rootstech that I am sure he will find plenty to pique his interest. 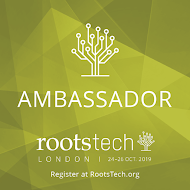 If you have been thinking about registering for Rootstech it would be a good idea to do so now at the earlybird rate which is available until November 30. You can check out the schedule here. 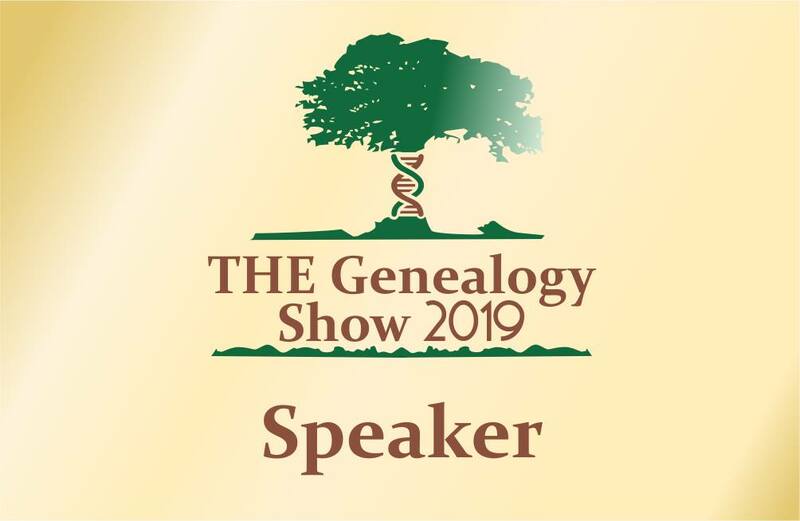 Genealogy 2.0: international panelists discuss their use of social media to connect with cousins, collaborate on projects, discuss issues, market and promote genealogy services and perform acts of genealogical kindness. As I have done for the last 41 years, when I said goodbye to Mr Geniaus this morning, I told him to have a good day at work. That was the last time I will be giving him that message as tomorrow we start a new chapter in our life. Robert Ball retires today after a working life of 47 1/2 years spent serving the residents of three Sydney Local Government Areas: Rockdale, Waverley and Hornsby. 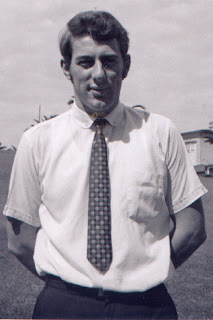 He was the chief executive at Waverley and Hornsby for a total of 33 years, spending over 13 years as the Town Clerk at Waverley and 19 years as the General Manager at Hornsby. During that time he has served around a dozen mayors and tens of aldermen and councillors. I could sing his praises but, as I am biased in my opinions, may not be too objective. Others said nice things about Robert at the various farewell functions held in his honour and he has received a number of cards and letters congratulating him and thanking him for his work. Here's to a wonderful and restful retirement! For your forbearance and fortitude in the face of the most appalling harassment from some members of the community. I salute you! For your intelligent counselling of me and my colleagues. I salute you! For your demonstrated superior management skills in balancing the demands of Councillors and the community against the need to balance budgets, and delivering what everyone wants/demands. I salute you! For your patience and good humour in the face of often stupid behaviour by Councillors. I salute you! It has been a privilege to work with you and I will miss your sound advice and knowledge. Thanks your advice and knowledge - I've learned a great deal from you. Thank you for all your support and advice over the years. Thank you for being such a supportive, friendly and approachable General Manager. It has been great working with you over the years. You have always been a font of knowledge and experience! Thank you for your guidance, support and sense of humour. Thank you so much for your advice and wise counsel over the many years that we have known each other. Those who follow my blogs will know that my typing skills are somewhat lacking. I am in possession of a new tool that may help in this regard. I am using Dragon NaturallySpeaking premium version to write this post. I only installed the the software last night and have written one report with it. This is my second attempt at writing with this product and so far it has transcribed with 100% accuracy. As I have many stories that I wish to relate and record for future generations I am looking forward to using this new tool. Have you used voice recognition software for genealogy purposes? Aillin O'Brien from Australian Genealogy Journeys was the first to respond to my geneameme challenge followed very quickly by Caroline Gurney of Caro's Family Chronicles. Thanks to these two sharp genies for starting the ball rolling with this geneameme challenge - I appreciate your support. Thanks to my mate, Randy Seaver, publicising the meme in his Saturday Night Genealogy Fun I have met a raft of new genealogists from over the seas. Following is a list of meme contributions. Hopefully it will grow over the next few days.